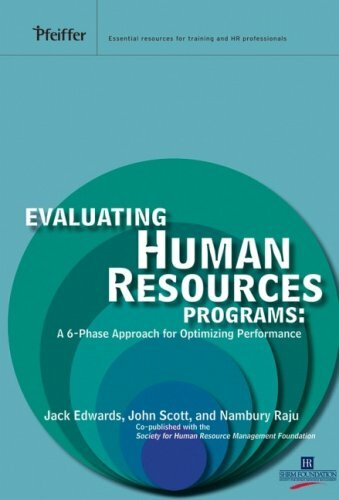 Evaluating Human Resources Programs is a groundbreaking book that offers readers a systematic method for enhancing the value and impact of HR and supporting its emerging role as a strategic organizational leader. It provides a practical framework for adjusting and realigning strategies across all types of HR programs. The authors outline a proven six-phase process that will maximize the likelihood of a successful HR program evaluation, including real-world techniques, strategies, and examples to illustrate their recommended steps and actions.